It´s been a while since I last wrote, but I was busy re-arranging my life and my garden too. 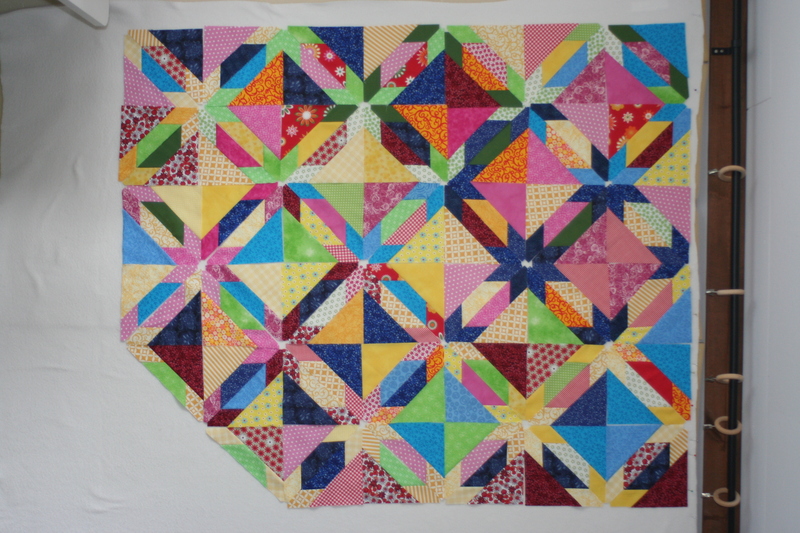 You know the saying: when life gives you Lemons make Lemonade, or as we Quilters say: If life gives you Scraps make Quilts…. I did that too. Baltimore is on the pause button for a moment. But I finally got an idea for block 7! 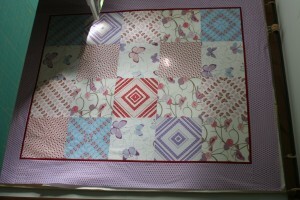 Than I prepared 5 other quilts for quilting, ditching is already done! I showed them at the last Sewing Wednesday from my Quilters Guild this week. Boy had we fun that afternoon! I stayed in Mora over night, a hole new Experience for me, but it was really fun! And when I came home on Thursday afternoon I started to quilt the Secret Love Quilt which is currently under my needle! Secret Love Quilt, large wall size, my main focus on right now! 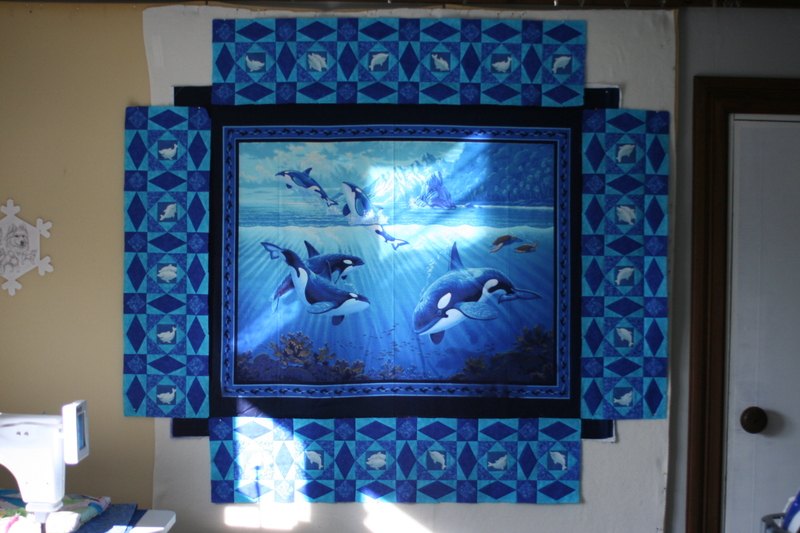 Deadline End of July, because I want it to be in a Quilt show in late September. Fingers crossed! Hunt the stars, bed size, prepared for quilting and already ditched! 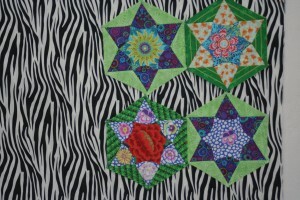 Rumble in the jungle, wall size, prepared for quilting and already ditched! Looks like I have to get some pictures done too, but the weather was so bad I didn´t manage to take some. Next time! 2 of my Quilts are at Quilts UK 2016 in Malvern right now, final day today! I expect them to come home by end of next week/ beginning of June. I´m very curious about what the judges wrote! 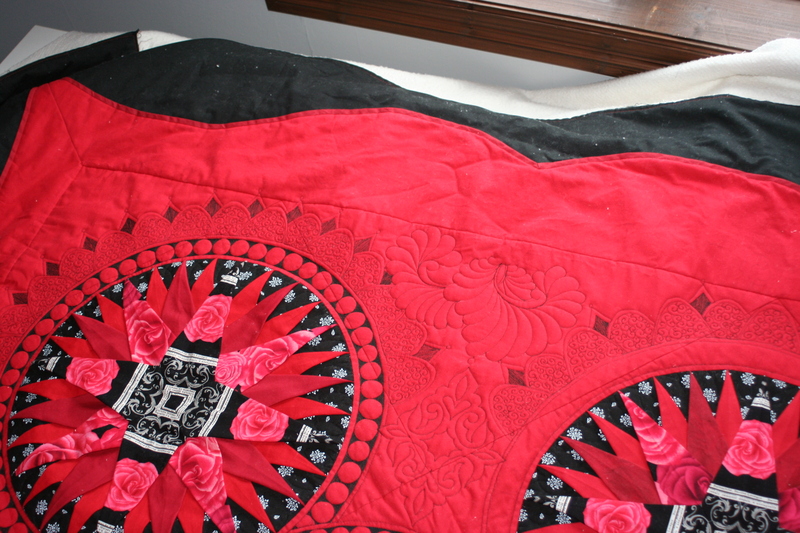 It`s the large Bed Quilt “ Björn- Le Moyne Star“ – you remember from Mora Quilt Exhibition last year, and the “ Vänskap/ Friendship“ Quilt, also from Mora Quilt Exhibition last year. I hope to get some pics from the show in UK! 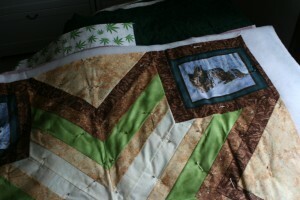 In the mean time Happy Quilting!